Ho ho ho! 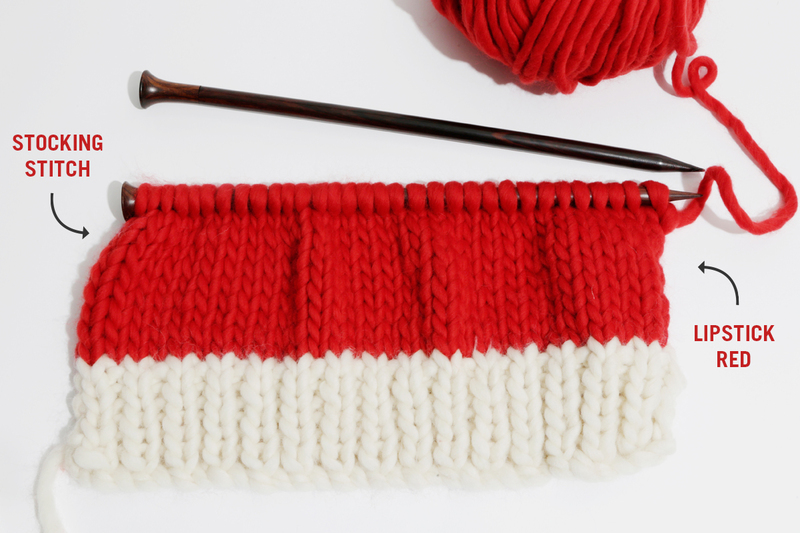 On the fifth day of making we’re showing you how to make a Santa Baby Beanie! The perfect accessory to show your Christmas spirit while staying warm and cozy, and it’s available as a kit here! For the full pattern details, grab the kit here. We will run through the basics so you can follow along and make sure you’re on track.The hat is knitted flat and then seamed together at the end. 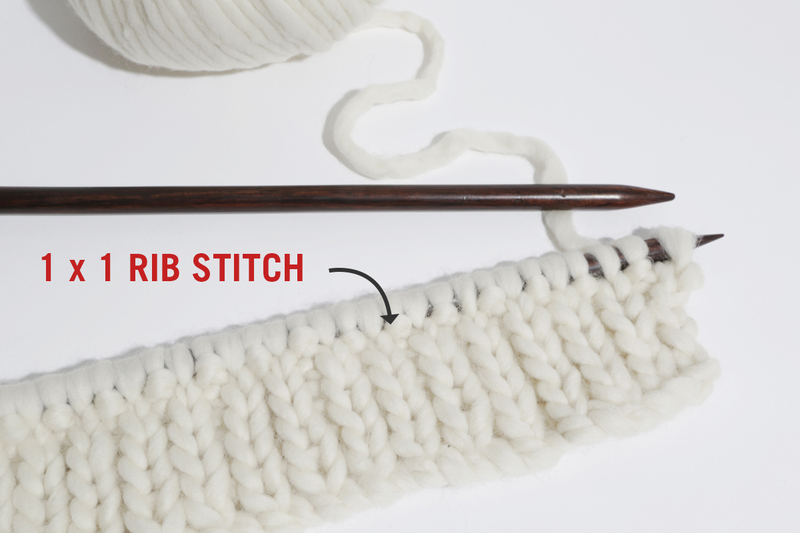 Using your 12mm knitting needles and your Ivory White yarn, cast on in your favourite way (we used a cable cast on). 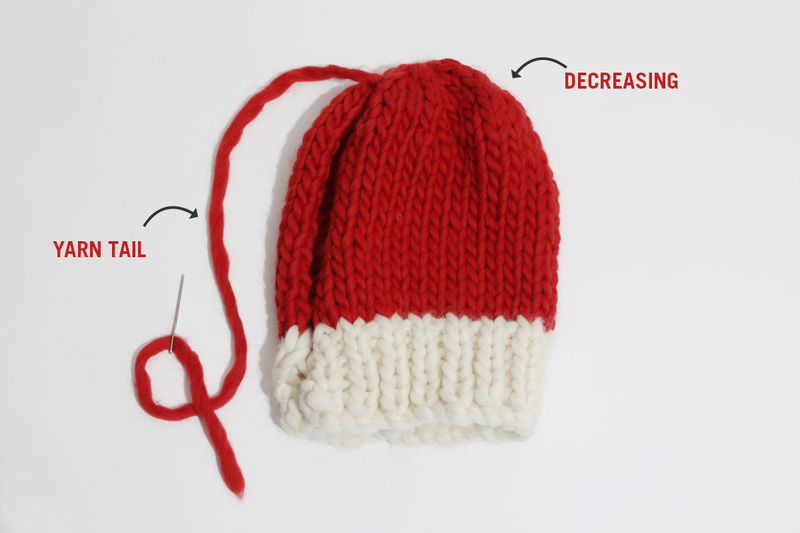 Switch to your Lipstick Red yarn and work in stocking stitch for the main section of your hat. 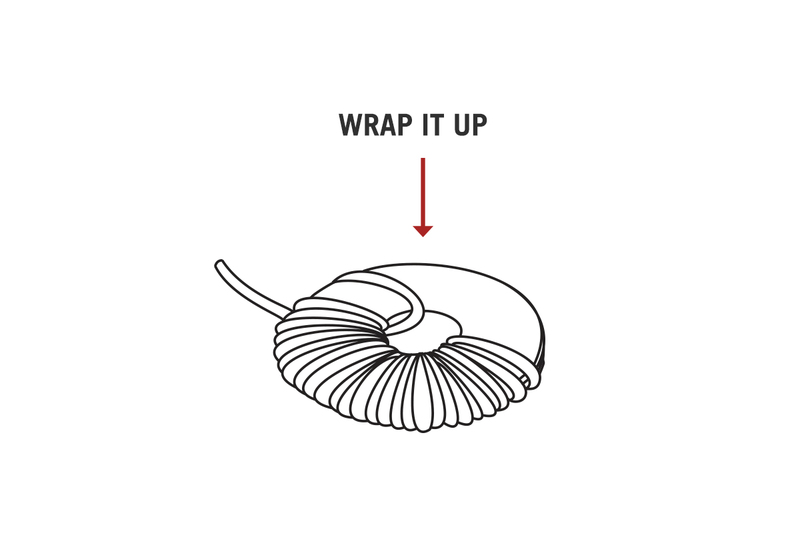 STEP 4: Shape your hat by working a series of decrease rows. (There are step by step instructions on how to do this within the pattern). STEP 5: When you get to the end, cut your yarn, thread it through your sewing needle, and insert the needle through the stitches left on the knitting needle, then pull to close your hat. 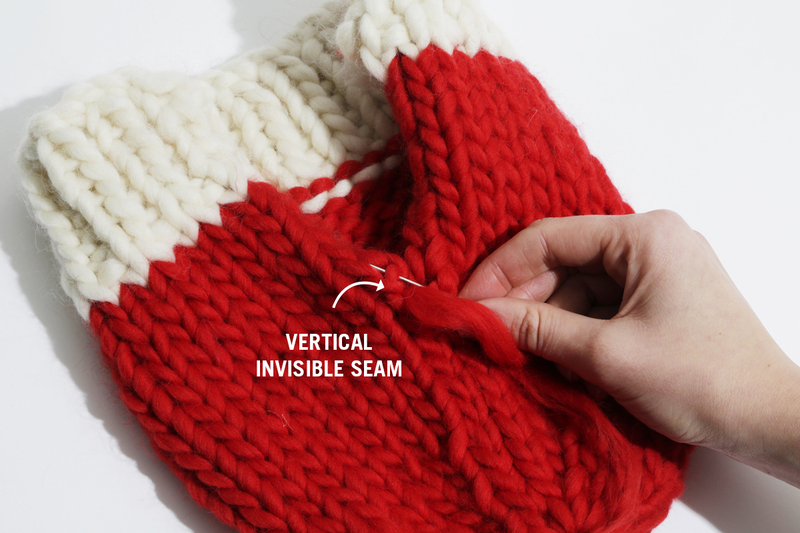 STEP1: Using the yarn tails from the top of the hat and the cast on, use the vertical invisible seam technique to sew up the back seam of your hat. STEP 2: Weave in the loose ends! 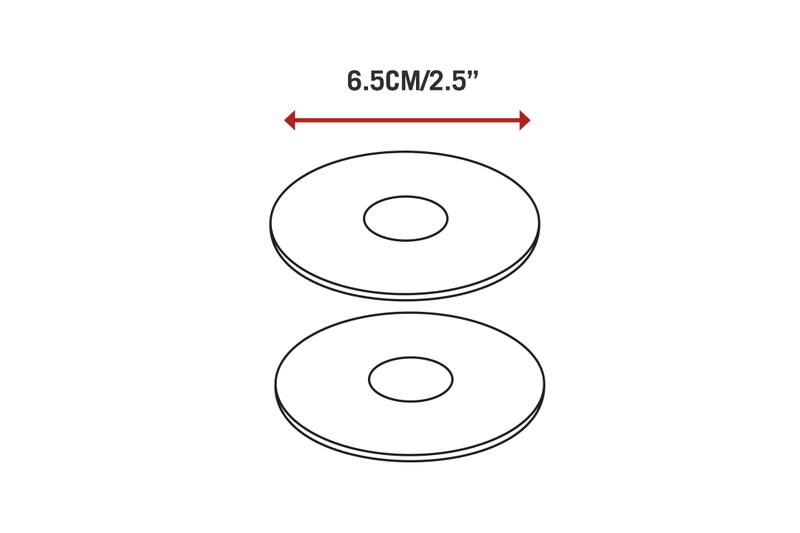 STEP 1: Cut two cardboard circles, 7.5cm/3” in diameter, with a 2.5cm/1” hole in the centre. STEP 2: Using the sewing needle threaded with a long strand of yarn, hold the circles together and wind the yarn around the circle until it runs out. Cut another length of yarn, and continue winding yarn around the cardboard circles until the card is covered and the hole closes up. STEP 3: Using a pair of scissors, cut the yarn between the two pieces of card around the edge of the circle. 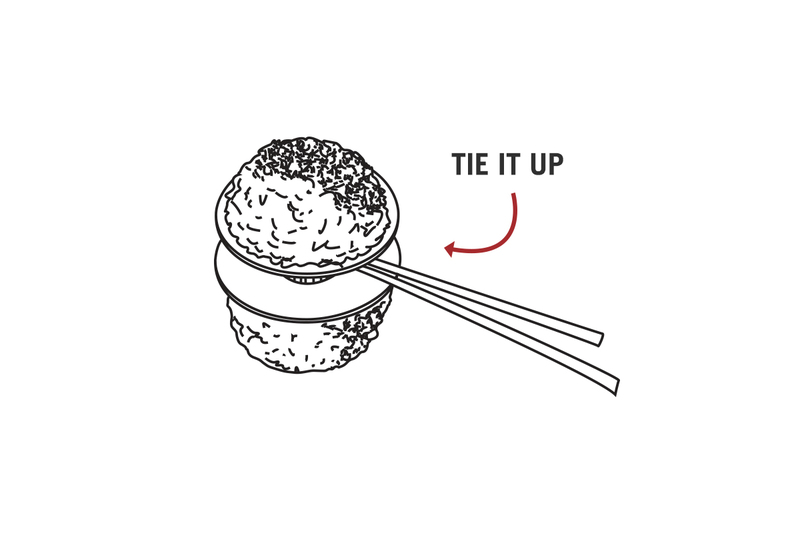 STEP 4: Tie a strand of yarn between the two cardboard circles to secure the centre of the pom pom, and fasten with a tight knot. Now remove the cardboard. 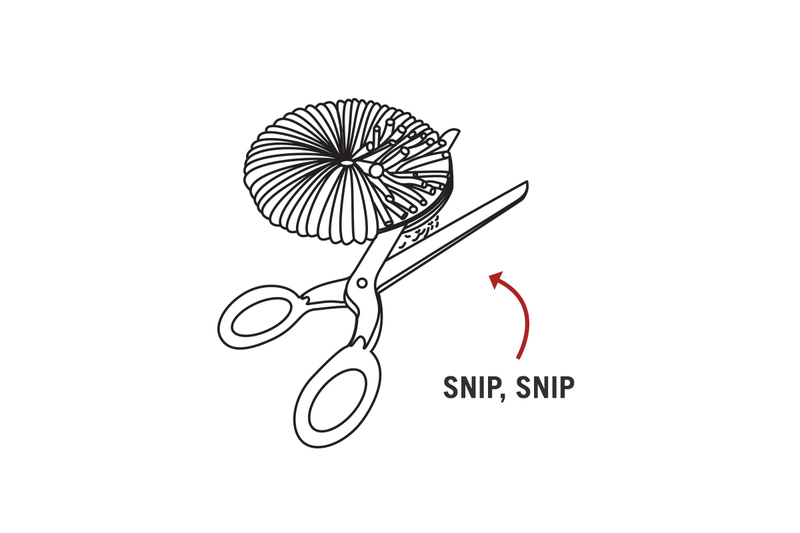 STEP 5: Tidy up your pom pom by trimming the shape with scissors. 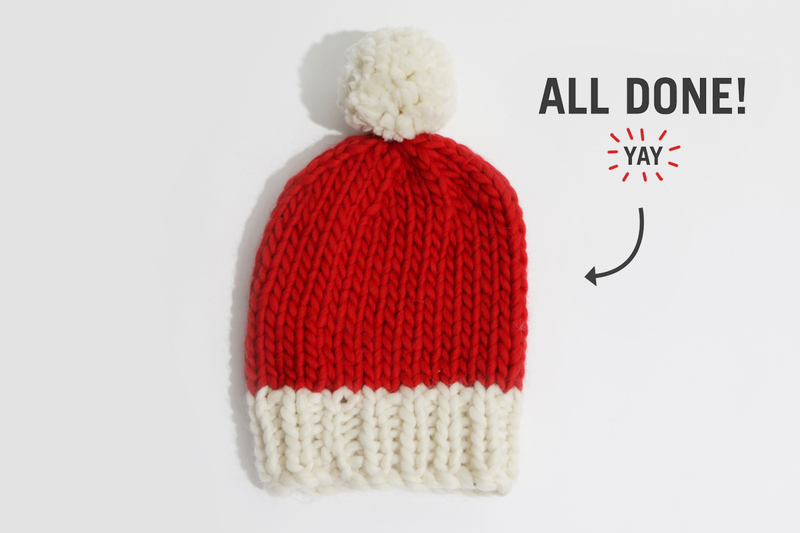 STEP 6: Sew the pom pom to the top of your beanie. Ta Da! You’ve knitted your very own Santa Hat! Now dust of your sleigh because Christmas is 20 days away! 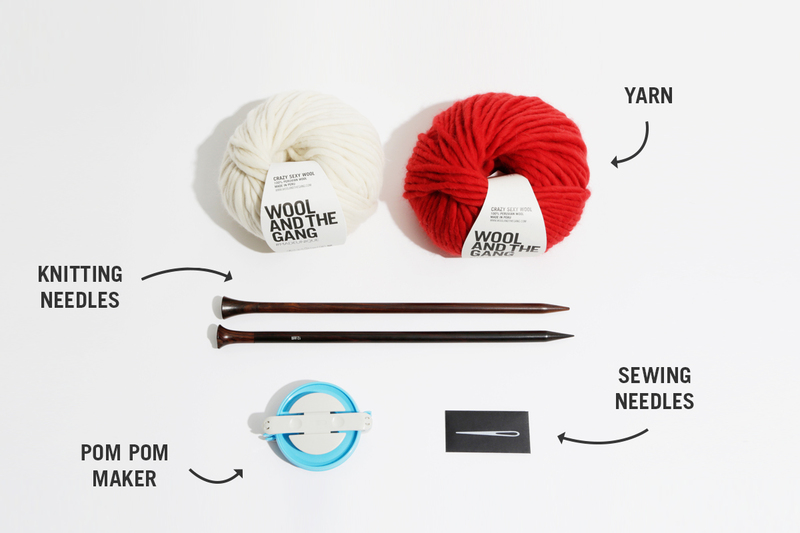 This is post #5 in our ‘12 Days of Making’ series which sees us posting a new how-to project every day for 12 days. To see what’s up next, what came earlier and to make sure you don’t miss anything, follow us on Facebook, Twitter and Instagram for live updates. Happy making!